Coordination chemistry has played a key role in the development of functional supramolecular materials. In this symposium we invite highly-active researchers in the field of electronic/photonic functional materials and discuss the device fabrication and the applications. Supramolecular chemistry and the related bottom-up approaches have been recognized as a key to fabricates hierarchical highly-ordered nano-scale materials. 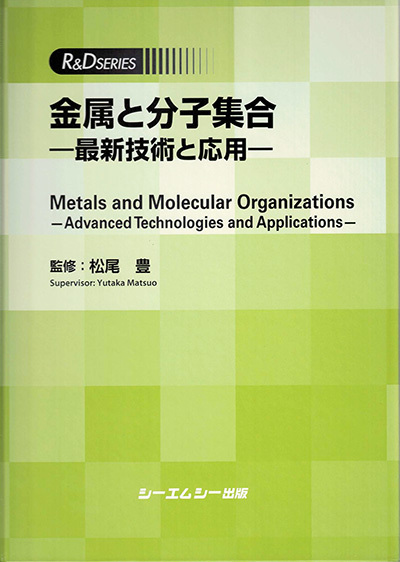 The objective of this symposium is in providing an interdisciplinary forum on recent advances of supramolecular-based catalysts for researchers engaged in the area of inorganic and organometallic chemistry. Six lectures will be organized around the theme of "Catalysis Research Initiative on Supramolecular Materials". The current status, recent developments, and future scopes of 1) controlled catalytic array fabrication, 2) cooperative catalysis, 3) nano-space reaction field, 4) combinatorial catalyst discovery, 5) reusable self-repairing catalyst, will be discussed with a focus on the supramolecular chemistry and practical approaches. Copyright(C) 日本化学会 新領域研究グループ「金属と分子集合」 ALL Rights Reserved.